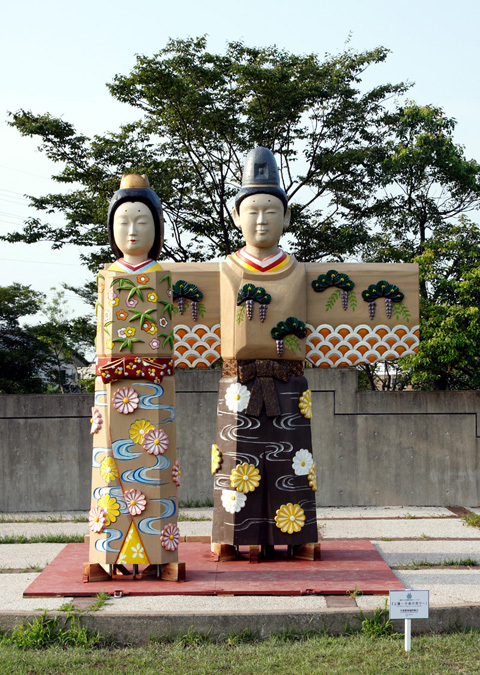 In Japan, We celebrate"Hinamaturi", which is girl's festival and we decorate this male and female dolls on March 3rd. So these dool's height is 3.3meters. We really hope that girls grow up healthy and beatifully. These dools also express fragrance of spring in Nanto city.